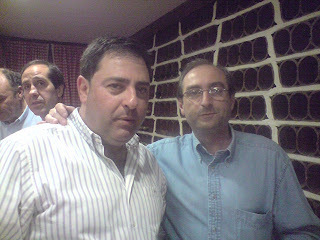 Head of the Law Department of the Basque Government Sabin Torre on the left, and Doctor Javi R. Morua on the right. Fran and Eusebio on the back. More photos at Flickr.com. Directly published from my LG Viewty. lagunok Gorka Krak bat dela onartu behar dugu.